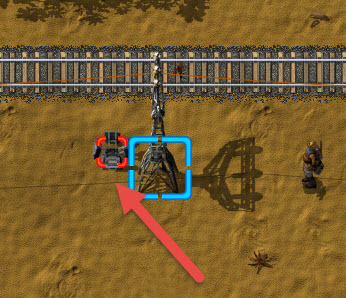 By default FARL uses big/medium electric poles, placed 1 tile to the right of the tracks. To change the side use the checkbox in the gui. 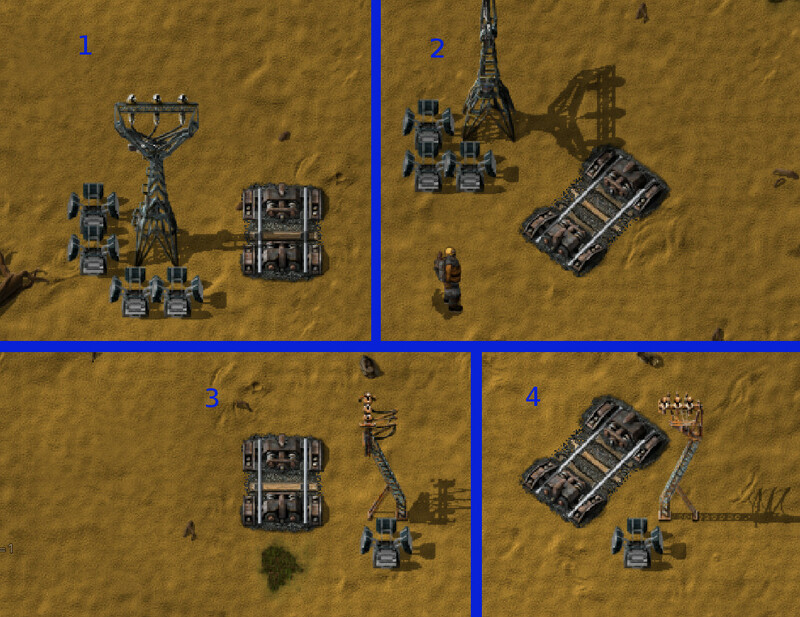 Create 2 blueprints with your desired layout, place them in your hotbar and click Read blueprints. Done! Last edited by Choumiko on Wed Apr 01, 2015 11:54 am, edited 32 times in total. Not sure, but considering that he built this because the old way wasn't... most likely? Have not tried it yet, but will some time soon. Replays work for SP games, that's a good sign i guess. I will try it more later. Thanks again! imajor wrote: This is absolutely great, thanks a lot! I loved the original track laying mod, but it was very hard to control the direction with the mouse, so what you did is exactly what is needed I think. Being able to turn it on/off is another thing which is extremely useful. The error is because you click start when the locomotive is on a curved rail. I'll fix it for the next version. For now just don't click Start when on a curve, doesn't activate anyways when on one. Anything special we need to do if we were using the other mod and now want to use this one instead in a save? katyal wrote: Anything special we need to do if we were using the other mod and now want to use this one instead in a save? I like the idea with the lamp. I noticed it really starts lagging when you go diagonal and are not placing signals. Seems strange as the mod should be doing less not more.. 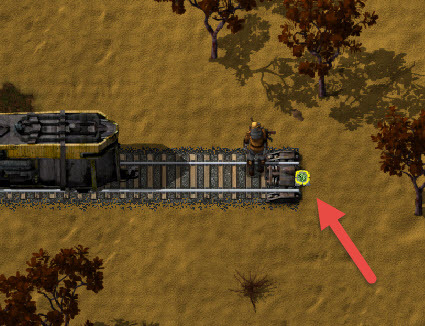 I suspect it's because factorio recalculates blocks/segments everytime a rail is placed. yes it is possible other resources, other than not recycled, which lie on the ground otherwise it is very sad ..
s and d simultaneously press! n9103 wrote: Pee Tee Double You. Post To Watch. Generally done by those that are interested in finding/getting updates on a thread easier, but when they don't have anything else in particular to say. n9103 wrote: Post To Watch. Generally done by those that are interested in finding/getting updates on a thread easier, but when they don't have anything else in particular to say. I did a quick test regarding multiplayer (with 2 instances on one pc): When using only 1 FARL it went ok, when both players used one all seemed to go well until the first desync, from then on it kept desyncing. This could be the solution, so i'll wait trying to fix MP until this gets released. I got a little bit obsessed with the cruisecontrol It now behaves more or less like the one in my car: accelerating doesn't pause it, it justs idles until W/gas peadal is released. 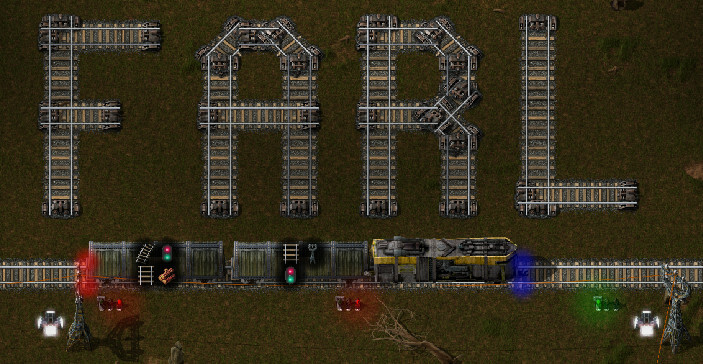 If there's demand for it i could make a seperate mod to add it to all locomotives. This looks awesome! I will definitely be using it in my current play through.